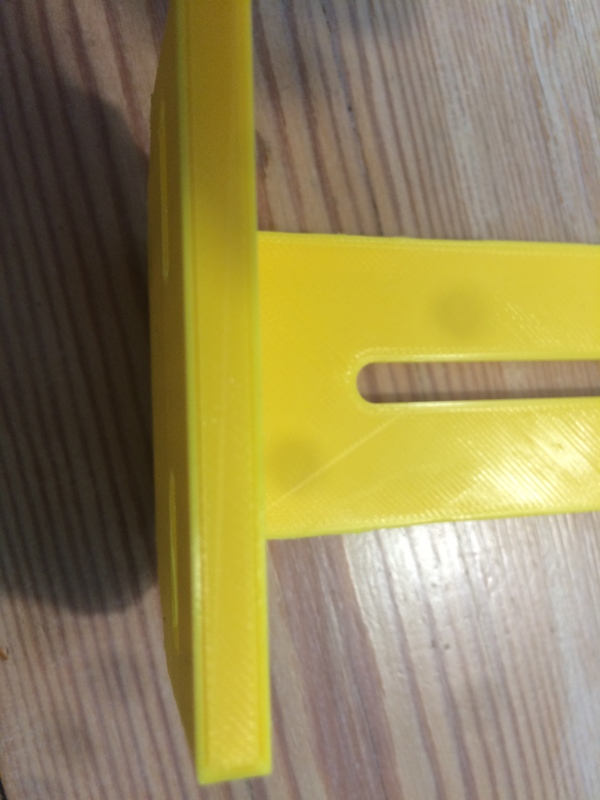 In my prints I see a thin separation between the sidewalls and the top layer. I even can push the gap close. I tried to close a picture in but I did not manage. Try again to include a picture - the button second from right above your posting. 3) This is common with non-pla plastics. 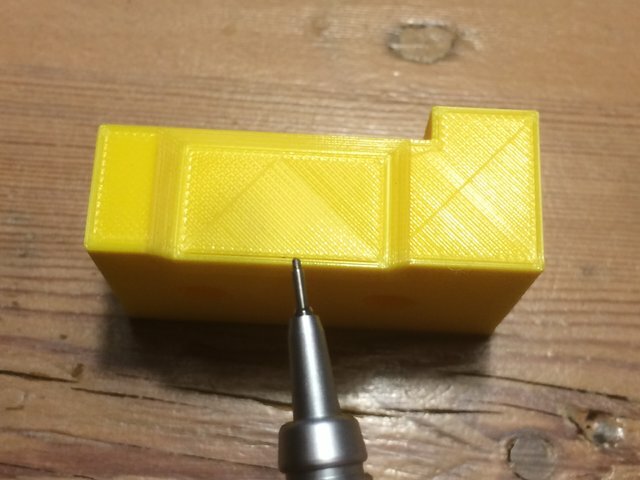 Are you printing PLA? Easily fixed if printing ABS is causing this. 4) backlash/play - make sure nothing is wrong with belts - not extremely loose. With power to head off, push it around gently and before motors start moving is the head loose? I try your advices, they make sense. Underextrusion could also mean spool feeding issues. Yes there are about 30 possible causes for underextrusion and having filament enter at an angle or filament tangles on spool are two of them. But I'm not convinced he has any underextrusion issues as I haven't seen any pictures. Lots of people can upload pictures from mac no problem. Click the icon second from the right above where you write the reply text (image gallery), then go to the upload tab and just drag and drop a photo onto that area and post. Is this how it works with the pictures? The one with the pencil you can see a sharp line, which is open. You can push the sidewall against the top layer with a nail. I work with PLA on a "ultimaker 2 go"
Actually your two shells seem to be touching nicely - it's the infill that isn't quite reaching the walls. I guess I would say you have a small amount of underextrusion - maybe 20% which is actually pretty minor. You could slow down your print by about 20% and maybe increase flow 10% and you probably should do these things. However your problem looks more like backlash. 1) a loose belt - particularly feel the tension on the belt that goes to the stepper. Push the head around when the power is off and compare the 3 (three! not two) X belts versus the Y belts. One of those may be loose. 2) Belts too tight or other friction - if they are extremely tight they can cause extra friction - again push head around with power off and see if one axis has very heavy friction. 3) Head loose or falling apart - try pushing 4 directions (e.g. east, west, north, south) on the nozzle. Is it loose? Does it move without the head moving? Could be a loose bearing. All of these are easily fixed. If you pull or push on the belts and thing you can know if it is too tight or not.